Do you feel your complexion has lost some of its youthful luster? Sadly, this may be the case. With age, the turnover of our cell cycle slows, meaning that cells take longer to form. As new cells also take longer to reach the skin’s surface, old cells accumulate and cause the skin to appear dull and tired. Luckily for you, at Virginia Surgical Arts, we can help restore both the health and appearance of your skin. Considered to be one of the safest and most effective chemical treatments on the market—the Obagi Blue Peel softens and smooths the skin, giving you a healthy and glowing complexion. As the Obagi Blue Peel is a customizable treatment, Dr. Vendetti can tailor the treatment to meet your skin’s unique needs—applying the peel in layers allows him to precisely control the depth of repair given to your skin. Many of our patients love the peel as it provides dramatic results without the commitment that a more invasive surgical solution, like a facelift, include. The Obagi Blue peel requires planning and preparation on your part. To achieve optimal results, it is essential that you commit to a pre and post peel skin care regimen. The Obagi Blue Peel is unique in that it is designed to work together with the Obagi Nu-Derm system. At a minimum, skin should be preconditioned using Nu-Derm for four to six weeks—depending on the condition of your skin, for some, prep can be upwards of twelve weeks. Post care is just as important as the peel continues to work deep into the skin for approximately 60 days. Once your skin has recovered and has fully healed, resuming your Nu-Derm routine will enhance the effectiveness of the peel. 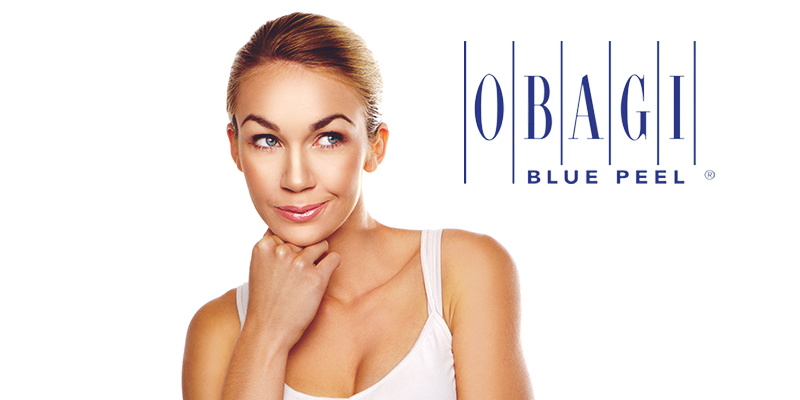 Restore your skin’s clarity with the Obagi Blue Peel. We can’t wait to work with you! We encourage you to come in for a complimentary consultation to discover how the peel can transform your complexion.